These penguin parents are traveling to the South Pole to pick up their baby, but they're going to need some help! Challenge your child to be their guide by finding the distance between coordinates and then practicing some subtraction. They would like to know how far they need to travel each day to get to the South Pole and back home! Your child will be so invested in helping out his penguin friends that he won't even recognize that he's learning essential algebra basics! 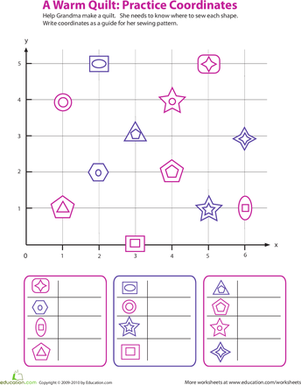 Help your students practice finding the perimeter as they work through problems involving pentagons. 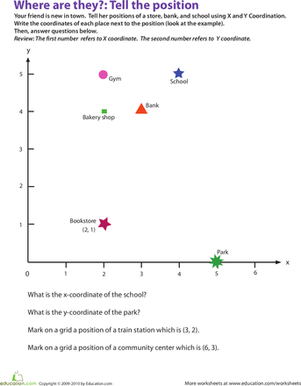 Working with grids and coordinates doesn't need to be dull! 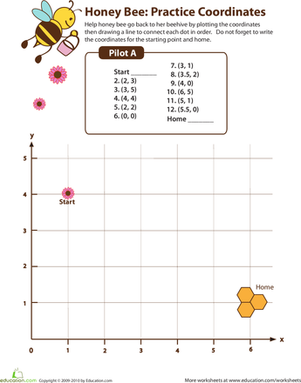 Invite your fourth grader to practice by helping this honey bee find his way home. 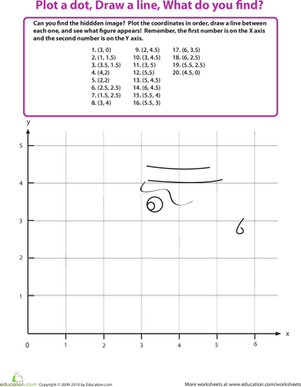 This is a great worksheet to practice calculating the perimeter for a pentagon. 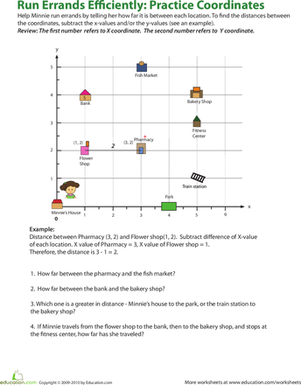 Give your fourth grader some practice with graphing and coordinates as she determines each location's coordinates on this printable. 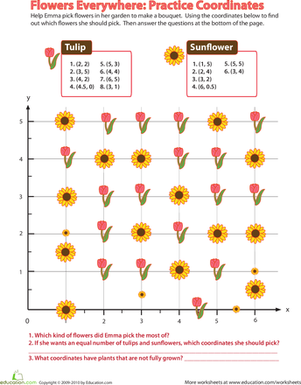 Your fourth grader will be kept occupied and entertained with this fun math printable. He will be practicing pre-algebra and coordinates in no time! 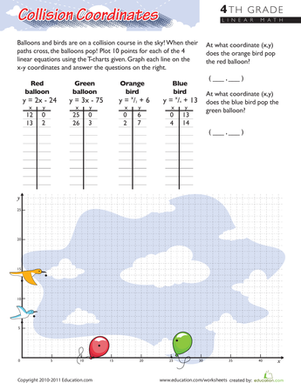 Your child will practice working with x y coordinates and use their critical thinking skills in this fun math printable. 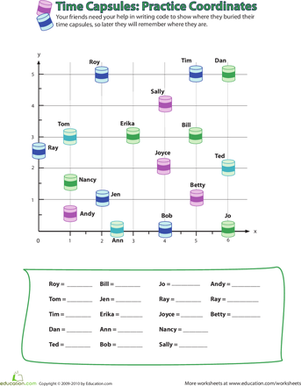 Your fourth grader will learn about coordinates and get fine motor skill practice as she plots the coordinates, connects the dots, and draws a silly picture! Ask your child to help some imaginary friends determine where they buried their time capsules by determining the coordinates of each spot. 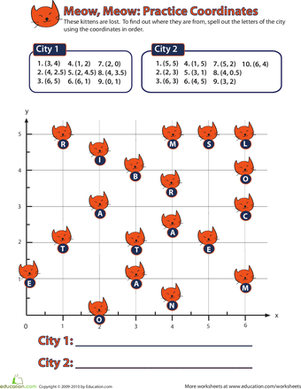 Use the grid coordinates to find out where the kitties are from.